Long time no talk - hope you all are doing well. You may remember me from a couple of years ago. If you recall I broke up my custom ZRX and you guys helped my out by buying all the parts. And last year I moved from CA to MN with work. 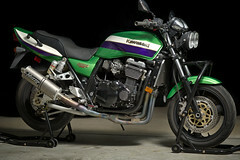 I ran into Old Kawboy on the Z900RS Forum, which was great. Other than that its not the same fanaticism that ZRXOA owners have - you guys are the best! Last edited by TZ750D; 04-14-2019 at 10:03 PM. Has become what Chrome is to Harley..."
That has to be the silliest build I've ever seen done. There's no way those Minnesotaians are gonna accept that in their state. However, in Alabama, our people have an unlimited appetite for all things silly. Save yourself socially while you have time. I can be there in the truck Thursday morning at 7:00am to get her picked up and removed from the state. that RS is sweet. the Z1 too! Sheesh, gorgeous. I would love to take it for a ride. Thanks all for the kind comments: you dont get the same involvement or expertise and help on the Z900RS Forum, as OldKawboy and Salnap can confirm. if you guys ever decide to add a mini Z900RS owners subgroup, I'll be all in! that's a classy looking machine! I've read & seen every article & picture I can find on the RS and this is the sharpest one out there! I frequent a few different forums. This forum is the best. I'm all for a subgroup. Last edited by salnap; 04-18-2019 at 04:10 AM. 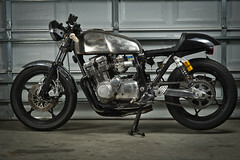 Does the 900RS respond to a cam swap from the Z900? Possible, not possible? Once I feel like my RS has ran it's best with bolt-ons I'll start tinkering. Both bikes cams have the same lift but the z has more duration on the intake & exhaust cams. All associated parts are they same except the intake valve springs. Stock for stock there's about 20rwhp between the two and from all I can find out it's the cams, their timing & one point lower compression on the RS. Top notch build Don! It’s gorgeous.